Skype has now become quite common bond, which allows not only to communicate visually with a person, located anywhere in the world, but also free to correspond with them via SMS messages. Besides, for the source to better understand emotions, that he wants to convey, correspondence include emoticons for Skype - special codes with which small images are transferred and even large images. Emoticons for Skype actually invented enough, and in each new version is almost always carried out their update and increase the number of. 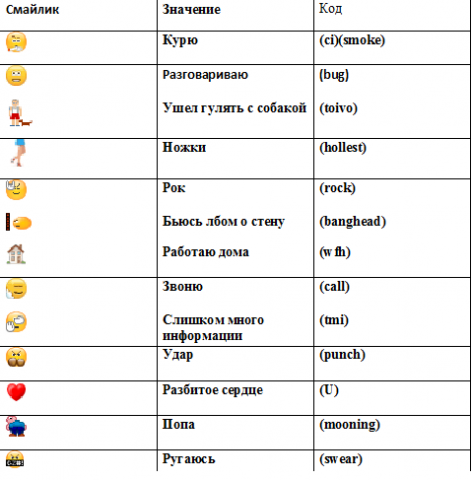 Therefore, in different versions Skype emoticons can be completely similar to each other. 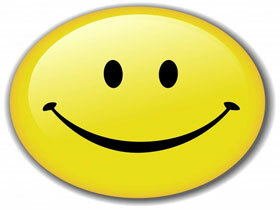 All smiles can be divided into two groups: standard and hidden. 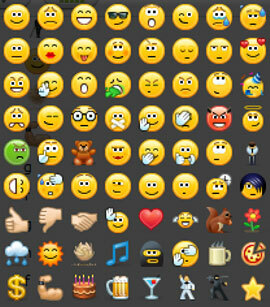 Standard called emoticons, which are inserted into a message directly from a special dialog window, which presents the entire available catalog of images. To do this, just need to open the form for writing messages, then click on the picture, depicting a smiling face, and in the window that opens, select any favorite picture and click on it. Then immediately emoticon displayed in the window with a future message. In addition, instead of the smiley it is also possible to put his code. 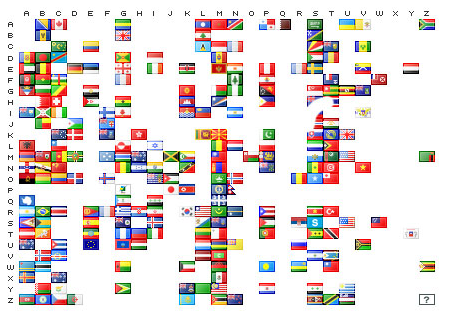 To add emoticons in Skype, and flags can be displayed in sending a message needs to be written flag code, which has the following template (flag AB), where the word flag is not changed, and the letters vary depending on the image of the flag must be substituted (alphabetic values ​​are written according to the above-presented image table with flags). In this way, even conversation on Skype, you can if you want to make a very exciting, for it is only necessary to know a few secrets of the program.